Thick, inspired psychedelic sludge that sometimes rumbles, sometimes screams. This record, released earlier this month, comes just a while after I became aware of The Black Angels. I saw them at Roky Erickson’s Ice Cream Social during the South by Southwest music festival in Austin in March. As I noted then, being that the Angels are on the same bill as “Zombie-walker” Roky, it’s tempting to call them the grandchildren of first-generation psychedelic rockers the 13th Floor Elevators. But there are also weird echoes of The Jesus & Mary Chain, The Electric Prunes, and Spacemen 3 and odd psychic references to Bo Diddley. And don’t forget The Velvet Underground. After all, The BAs named themselves after “The Black Angel’s Death Song,” the Velvet’s faux folk tune that is most memorable for John Cale’s screechy viola. The BAs, which formed in Austin earlier this decade, are true psychedelic rangers. Check their Web-site bio, written by Tommy Hall (The 13th Floor Elevators’ electric-jug man). Yeah, and they also play some bitchen fuzz-tone guitars. Virtually every track on Directions to See a Ghost is a journey to the center of what’s left of your mind, culminating in the 16-minute “Snake in the Grass,” which features oooga boooga drums, layers of feedback, some snaky maracas, and recurring Mideastern or East Indian motifs. At the end, I can almost hear bagpipes, but it’s probably just distorted guitar. There are also some much-shorter treats (although the shortest song is four and a half minutes). “Vikings” is an ominous tune that starts out with slow death-march drums and a weird organ. “Doves” is another slow burner with the drums out front. “Deer-Ree-Shee” is one of the most fast-paced tunes here and features some crazy sitar by singer Alex Maas. “You in Color” starts out with a burst of feedback and a kind of Peter Gunn guitar riff and quickly builds up to a full-fledged rocker. If I’ve got one complaint about this album it’s that there just aren’t enough of these hard stompers. Sometimes it’s cool to just space out and ponder whatever it is that Maas is singing (I’m never quite sure, but I bet a lot of it has to do with restructuring your thinking and questing for pure sanity). But after awhile you want to move. But when you need to space out and let music guide you deep into the Forbidden Cavern, there’s not much better these days than The Black Angels. By comparison, Head is a more homemade, more folksy kind of affair. 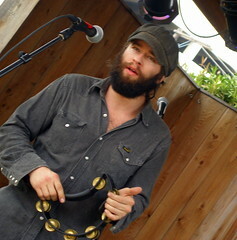 The song “Tongue-Tied,” for instance, features an acoustic guitar and a Dylanish harmonica. But there are some gritty rockers here too. “No One’s Goin’ Nowhere” is a threat put to music. Put this one on at night and you might be scared to leave the room. The minor-key “Get Happy” starts out acoustically with guitar and later features some harmonica. But it’s also got a growling electric guitar and some sinister organ and chimes of doom. It doesn’t sound very happy. 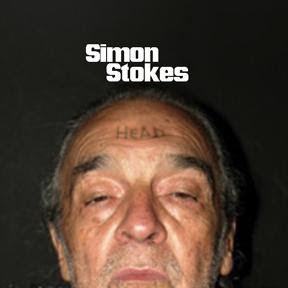 Stokes has a couple of cover tunes on Head. He sings a decent version of “Long Black Veil,” but it won’t make anyone want to throw away their copy of The Band’s Music From Big Pink. More impressive is his gruff take on Woody Guthrie’s “Hard Travelin’.” You’ll believe Stokes has gone every mile. On the Radio: I’ll play some Simon Stokes on this week’s Santa Fe Opry, 10 p.m. to midnight on Friday on KSFR-FM 101.1. And then I’ll play some Stokes and Black Angels on Terrell’s Sound World, same time, same station on Sunday.